We rented four stout inner tubes from Abbott’s 306 River Outfitters in Canyon Lake, Texas, on an overcast morning and slid them into the light teal river slowly drifting by. 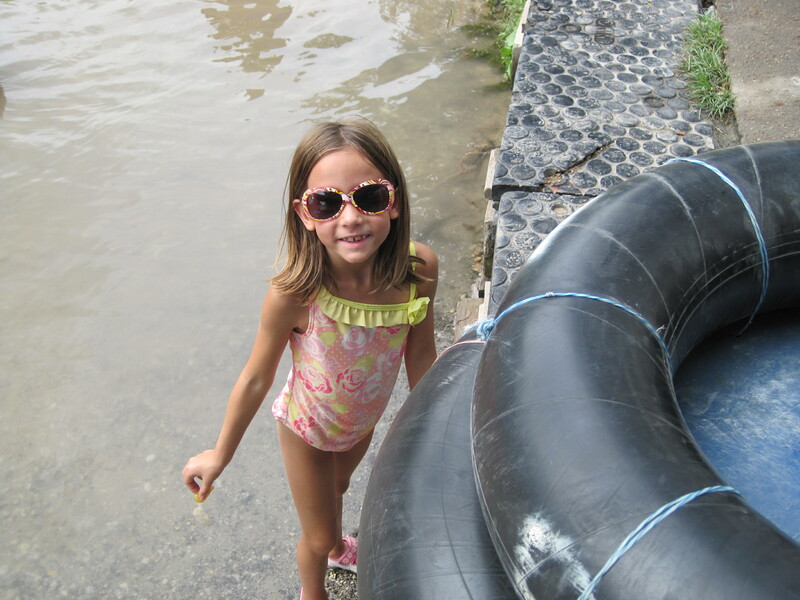 Hannah plopped into hers and immediately began to fuss as the cool water poured into her tube—the plastic panels strapped to the underside of each inner tube are to protect our undersides from the rock-strewn river bottom rather than to keep the river from touching our bottoms. Tubing is definitely an interactive experience! I set the cooler filled with water and other water-based beverages into the fourth tube, and Mary said a prayer of thanks for the river, the vacation, and the fermentation process God gave us for our enjoyment. Then we pushed off. As I soaked in the quiet slowness of the Guadalupe, the sentient majesty of the bald cypress and sycamores clinging to the banks, and the gift of the unspoken moment, my soul relinquished its cares as the Lord began to restore us. After Hannah calmed down and accepted her fate of being tethered to two adults with no agenda other than to sit and go with the flow, I noticed another family on the other side of the river, both adults leaning back on their tubes, looking up … and playing on their cell phones. Their daughter, in the meantime, frolicked in her tube in the shadow of the overhanging bald cypress trees. I sighed—I’d left my cell phone in the hotel room (where it belonged). Mary’s phone was locked in the car along with our wallets and keys. We literally carried nothing, not even our wedding rings. 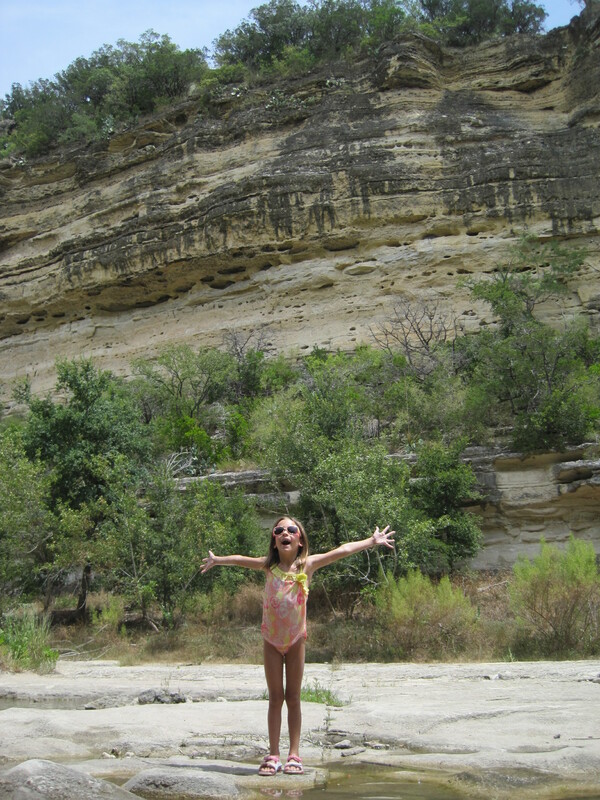 “Why do you like the river so much?” I asked Mary, who spent part of her childhood in Kerrville, Texas, in the heart of the Texas hill country. She’d grown up with the Guadalupe practically in her back yard. “Because you can’t be in a hurry on it,” she reflected. “And because it’s beautiful, and because you can meet a lot of really neat people on it.” This after we ran into a young lady standing in the middle of the river, her back turned to us. Mary introduced herself as the giggling woman literally fell into Mary’s lap and drifted with us for several yards before she managed to roll out of it. When tubing you have very little control over direction, speed, and when you get there, and if someone’s standing in the river in front of you, you have no choice but to meet them. Ducks and geese floated along with us, and at one point Hannah began to quack. 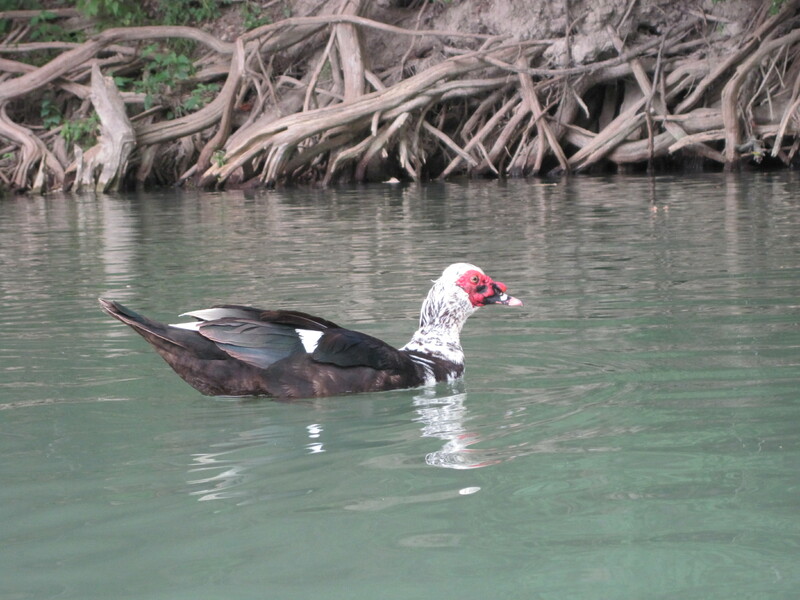 A Muscovy duck with its black and white feathers, mottled white neck, and naked red face began following us. Hannah quacked, the duck paddled, and soon the Muscovy pulled alongside her and observed her with its golden eyes. It floated with us for a few minutes, and then swam further downstream where several tubers had bunched up at the head of a stretch of gently gurgling rapids. After that, the river moved at a more sporty pace that kept Hannah more interested, kept Mary woo hooing, and kept me getting out and dragging the tubes through the limestone rocks poking out of the water. I only fell twice as I slogged over the uneven bottom, sometimes stepping off hidden ledges up to my waist. Soon dozens of people caught up to us, providing an opportunity to observe human nature and humans in nature, letting go and enjoying life in the slow current. After three hours we’d drifted around the horseshoe bend and disembarked only several hundred yards downriver from where we’d put in. 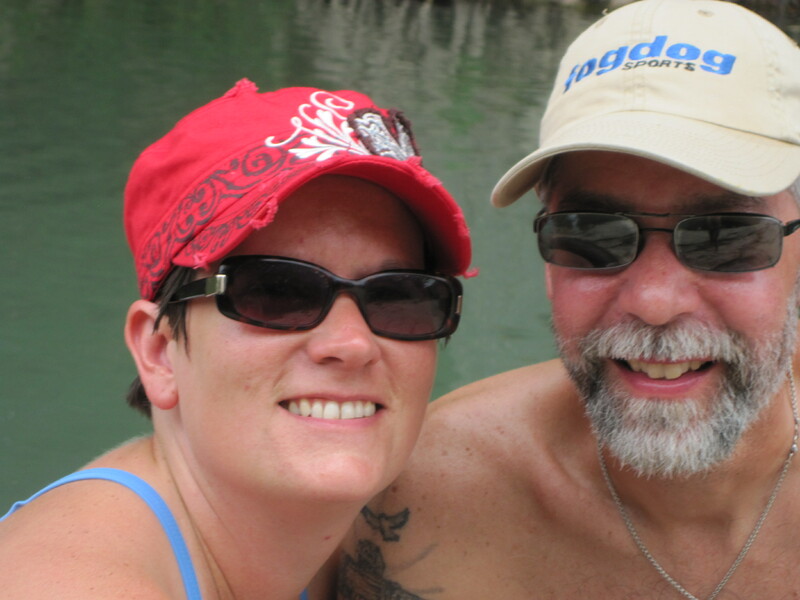 We took the shuttle back to Abbott’s, collected our car keys, and headed back to the resort and the swimming pool, where we spent the rest of the afternoon in the 100 degree heat and blazing Texas hill country sun. Later that evening I asked Hannah to describe her favorite experience on the river. “When the duck came to me when I called,” she declared. Then I asked Mary. “You know what my favorite thing was?” Mary replied. “Just watching Hannah enjoy her first time on the river, just seeing her experience it and enjoy it.” Watching a kid be a kid in a river being a river under trees being trees and God being God. Going nowhere slowly, restoring our souls. Enjoy David. Don’t burn yourself up! Water’s nice and cold, and low, so there’s plenty of opportunity to get out and drag….